Hi, fellows. As you know that Pokemon Go v0.37 is released. 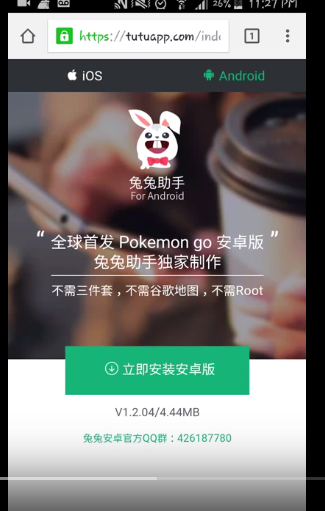 Many users are are confused that that whether Pokemon Go 0.37.0 tutuapp hack works or not. That’s why I am here to let you know that this hack works. I will show you how to install tutuapp 0.37.0 and 1.7.0 Pokemon Go hack. The method is same. If you are previous tutuapp pokemon go user then you must know that you get joystick in this hack. And you walk without actually walking. 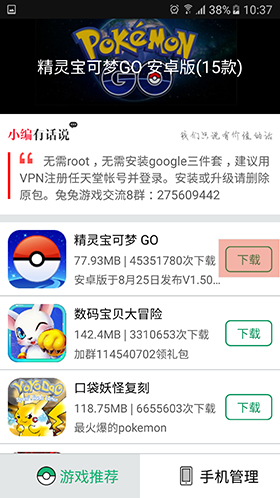 There is a new hack also named, Guopan Pokemon Go which is similar to tutuapp. They developer has made Pokemon Go improved and also made the security tight. That’s why again it is not available for Rooted users. But no worries because Magisk Hack can be used to bypass root detection on Pokemon go. Coming to the real topic, Hack Pokemon Go 0.37.0 with Tutuapp on Android and iOS. Let’s start. Some may have heard about tutuapp pokemon go hack and some already know. As you know that the pokemon game is just updated, and the hacked version with joystick available on Tutuapp. 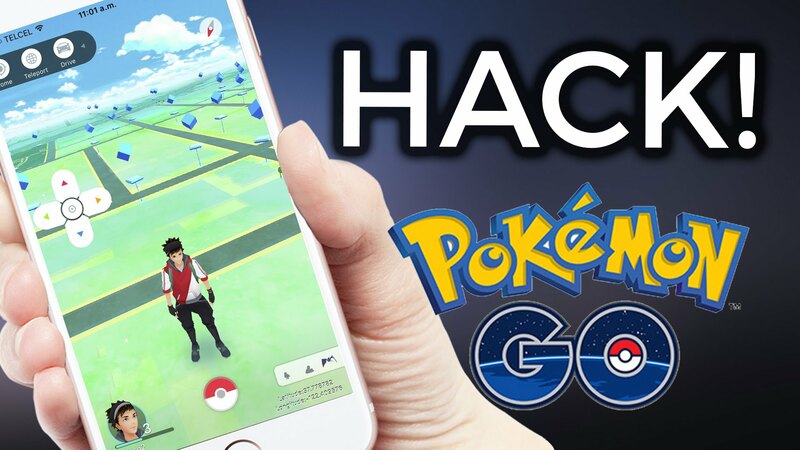 So, I will show you how to get his hacked tutuapp 0.37.0 Pokemon Go. This works on rooted and unrooted Android phones and on jailroken and unjailbroken iOS devices. There are also other hacks for Pokemon Go like Fly Gps, Joystick etc. But tutu app is the most famous one. Full steps to get Pokemon Go 0.37.0 hack with tutuapp are below. Follow them carefully. Follow this process step by step and be the best at pokemon go new version. Unlock your phone and connect to and internet connection. Open the browser you use. Type the URL: “tutuapp.com” and search. Tutuapp’s official appstore website will open. There will be Green option to download it. Tap on it and download the appstore. Now when tutuapp apk appstore is downloaded. Go to Settings>>Security, scroll down and enable Unknown Sources. Now go back to download folder where tutuapp apk file is downloaded. Tap on it and install. Once it’s installed. Open it. There will be a list of apps on the front screen. On the top there will be Pokemon Go. Tap on the Green Button right next to this Chinese Pokemon Go 0.37.0 hacked version. Now it’ll start download. When it is completely downloaded. Tap on it and install on your phone. Now go to apps drawer. Launch this Pokemon Go 0.37.0 Tutuapp version and enjoy playing. And that is it for Day. Hope you like this tutorial to install Pokemon Go 0.37.0 hack with tutuapp. For iOS devices. Follow these steps to get tutuapp 1.7.0 Pokemon Go. Open the safari browser you use. Type the URL: “tutuapp.com” and search. Tutuapp’s official appstore website will open. There will be Green option to download it. Tap on it and download the appstore. Install the Profile. Now launch this tutuapp from apps drawer. If it ask you trust the enterprise developer. Go to Settings>>General>>Profiles. 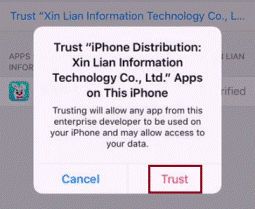 Scroll down and trust its profile under untrusted apps profile. Now open tutuapp. On the top there will be chinese pokemon go hacked version. Tap on the Green option right next to it. Install it. After the completion of installation. Launch this Chinese Pokemon go. If it asks you trust the enterprise developer. Go to Settings>>General>>Profiles. Scroll down and trust the Pokemon Go Profile under untrusted apps profiles. Launch Pokemon Go hacked version now. Enjoy playing it. And that is it for Day. Hope you like this tutorial to install Pokemon Go 0.37.0/1.7.0 hack with tutuapp on iOS/Android. Drop your comments below. Please Share it and subscribe. Follow us on Facebook, Twitter, Google+ and Tumblr. Hi, the game is alredy installed, but when I try to log in, it replyes: Unable to authenticate. Please try again. Does anyone knows what to do About it? how to get pokecoin without defending in the gym? i managed to download tutuapp and pogo, but i cannot move my avatar using joystick..it only move whenever move..please help me!! thanks..
You are softbaned. Follow these instructions to unban yourself. Works on iOS, was able to spin pokestops and catch pokés. The moment I moved with joystick i got softbanned. It’s countermeasure for player that moving too fast. (Yes, including teleport) Duration is varied, maybe 1 minute to hours. Solution: spin pokestop for 40 times. You are the best, but why do you never answer the question how to change the default/home location? hi !! can you give me the proffer instruction ? ?,,,,,, cause i cant change the location don’t know how. This is the solution I use since I can’t read Chinese. I simply just sign out of my Pokemon Trainer account after every use. That way when I go back into the game I can set my coordinates prior to signing in. For example, I live about a 4 hour drive from SanFran. So let’s say I’m playing in SF in the day. After I’m done I’ll logout. Then after about 2-3 hours I set the coordinates to my home location and then proceed to logon. I never get soft banned using this method. And if for some reason the game crashes or I forget to log out, I simply clear the apps data and I’m good to go. I also use this method for navigating to other cities close to me. I usually wait about 5-10 minutes staying logged out to go to a city about 10 minutes away. Works great for me! Still old version… no buddy option…?? Tried this several times on my iPhone SE 9.3.4 . Pokemon go will not download. All other versions on tutu require a Chinese Apple ID. Made a Chinese id still won’t download! So for now I’m calling BS! I have uninstalled the game and downloaded it again but it still doesn’t work. I also tried guopan but it downloaded the normal game and not the modded one. If it’s on iOS, turn on an airplane mode before open the app. Wait till it says “no internet connection” then airplane mode off and you should be able to play it. If not, wait a little longer until evrything is loaded and you stuck cause it needs internet connection. Got the app downloaded and the game . I can open it and look at my stuff but can’t walk! Anyone help?? Am I doing something wrong or have I been got and wasted my time? Only works good first try. After you close the app. You lose the joystick and all. You’re just stuck in s.f. Any way to bypass that? I keep getting the version 0.35.0 after downloading the pokemon go app hows that possible? everytime i press the file that i download in tutuapp it says “file cant be open”. im an android user. using samsung galaxy s4 can you help me on this? Also, can I have two files of pokemon go on my phone? Hey, I followed all the steps, and it still isn’t working. I downloaded tutu app, and it download fine but when I try to download pokemon go, the file downloads but when I press on it, it says app not installed. Did I miss something? Try using any VPN to completely download it. Uninstall the regular version and install the hacked version. You can’t have both. At least, I haven’t been able to find an alternative. Looks like it is downloaded incompletely. Again download it with a good internet speed. I can’t find the 0.37.0 either for TUTu. If I find it I will tell you here. If you find it tell me here. Hi im stuck with this.. I already download the tutuapp as per your instructions. But i believe that i did not install the 0.37.0 version. As i want to log in, a pop up occur and said a new version available. Please help me.